We are excited to announce our improved Grassroots Discount Program. 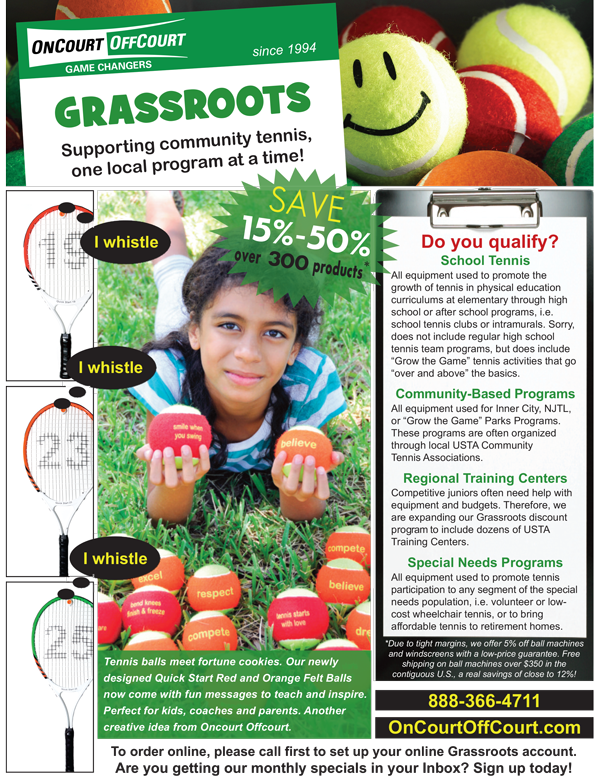 This program is designed to grow the sport of tennis to ALL segments of our population, especially to help support those who offer volunteer or heavily discounted tennis programs. Over the last 20+ years, we are proud to have contributed more than $500,000 in discounts and direct product donations to programs across the United States. Contact me by email joe@OnCourtOffCourt.com if you have a proposal for a program that you would like us to help support.